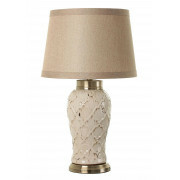 A beautiful Mindy Brownes Petra lamp with a frilled quilted ceramic base with a brown worn detailing. 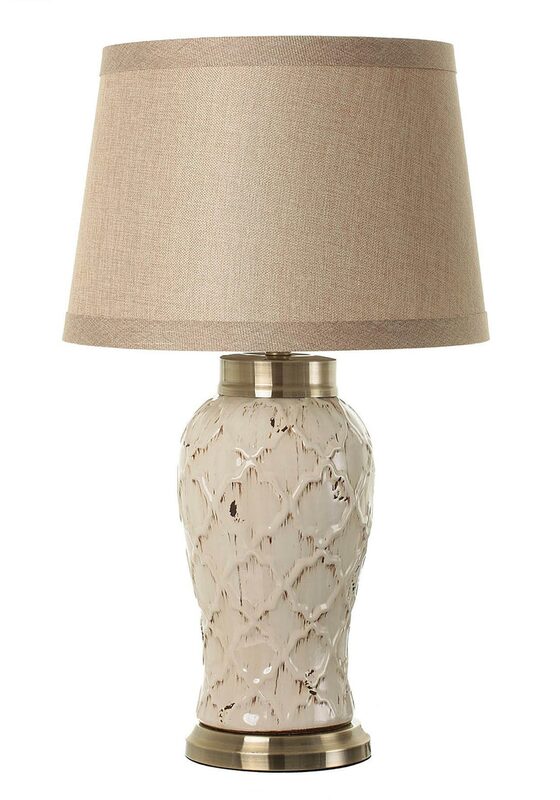 It has a gold platform and a stylish brown woven linen lamp shade. A timeless piece that will look stunning in your home.